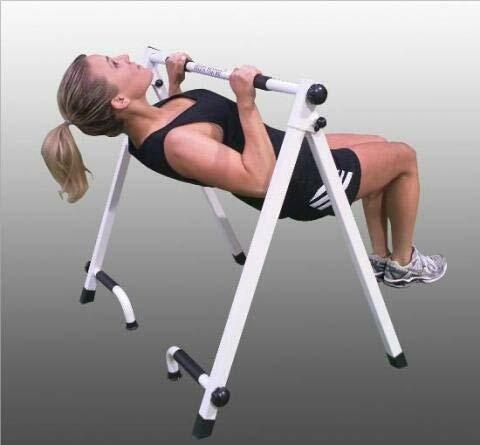 Space efficient, convenient and ergonomically designed, the portable pull-up & push-up bar is ideal for training the upper body. You can work on your chest, biceps, triceps and back, and get one heck of a workout. The grip is comfortable, and the geometry geared towards enjoying full range of motion for each exercise. The inverted pull-ups are not something that a lot of people can perform within a home setting, which therefore makes this portable bar quite unique. 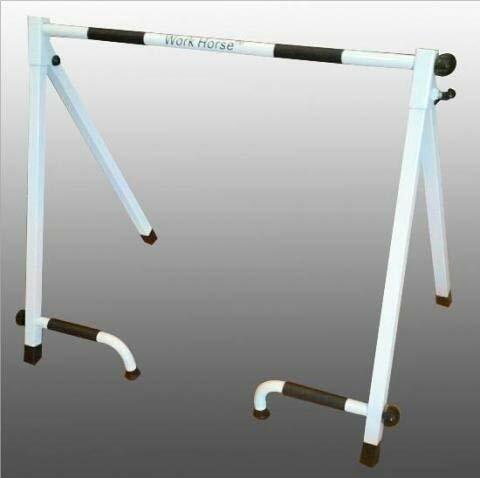 The bar is of top quality, lightweight steel, and durable enough to hold up to 300 pounds. As for height, it allows up to 6 feet and 4 inches tall. 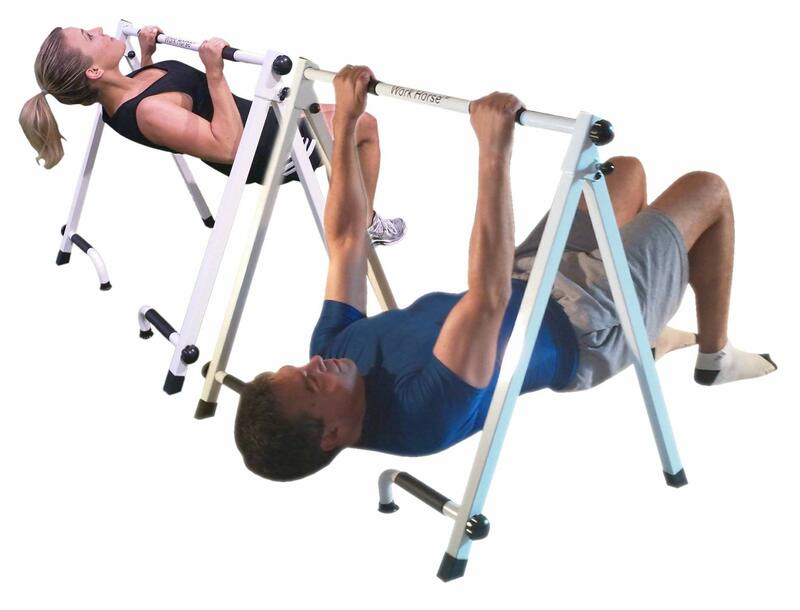 Foldable for easy storage, it is the ideal upper body workout station for both men and women. Ingenuity takes this portable bar among the best fitness tolls for bodyweight training. A tool-free, safe and durable station for performing inverted pull-ups it is definitely one of a kind. It is easy to fold and keep under the bed, and doesn’t require a doorway or anything else in order to be workout-ready. For the purpose of this review, I invited my wife for a test as well. Both of us went to a nearby retailer, where the price tag was slightly more expensive, and took turns testing this weird-looking but otherwise super useful bar station. I’m a tall guy, and my wife is only about 6 inches shorter. Needless to say, both of us enjoyed the geometry, and were able to perform full range of motion push-ups and pull-ups. The grip is very comfortable, and the station surprisingly stable even after I tried to swing my body and aggressively pull my weight. My wife is not your typical fitness fanatic, and will easily opt-out of a workout if things become too demanding. Needless to say, she hates the pull-up bar. This however, is welcomed refreshment. Instead of having to struggle her way up, she can pull only half of her weight and perform each motion with control, stressing the muscle as it was supposed to be stressed for that specific exercise. And considering how most women struggle with the traditional pull-up bar, this station becomes quite convenient. I on the other hand never had the chance of trying the inverted pull-up, and figured out that it is a quite engaging and interesting exercise. 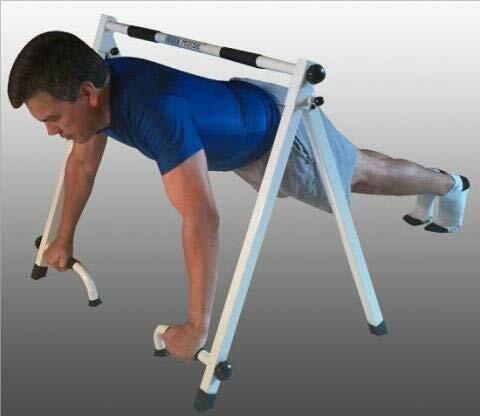 For those of you who need a push-up stand, the bar provides a fixed position and very comfortable grip. If you need extra challenge, buy a weighted vest and you can completely transform both exercises. Portable as it is, I imagine using it in the living room, backyard, and even my bedroom. 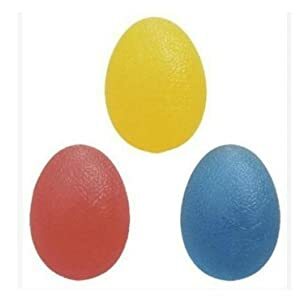 It is resistant to the elements, and strong enough to endure a lot of beating. 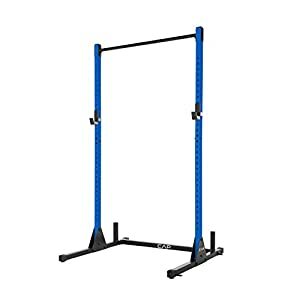 If you need a portable bar station that allows you to perform inverted pull ups and also doubles as a fixed push-up stand, this is definitely an option to consider. It is made of lightweight steel, and is durable enough to endure up to a 300 pound person. 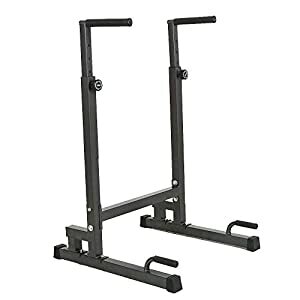 It folds easily, so you can safe extra space on storage, and is the best solution for training the upper body including chest, back, shoulders, biceps and triceps. Excellent for women and men alike, especially if you pair it up with a weighted vest! The hand strength power will help you to isolate your forearms, strengthen the hand grip, and alleviate pain and soreness from your wrists. Gain plenty of grip control and have chiseled forearms. Much better than a traditional hand strengthener. 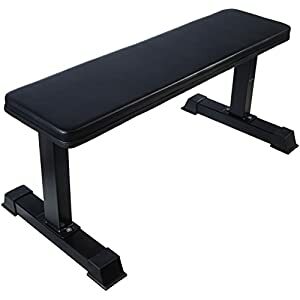 The GoPlus sit-up bench is one of the most durable, quality-made and affordable benches on the market. It offers a height adjustment between 20 and 26 inched, very dense and durable padding and heavy duty steel than can withstand 240 pounds of weight. 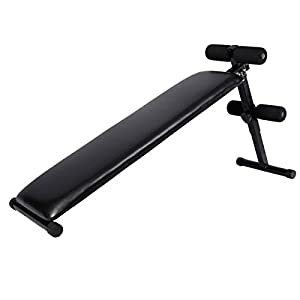 A premium grade piece of equipment with an affordable price tag, the AmazonBasics flat weight bench sets the standard on the market. 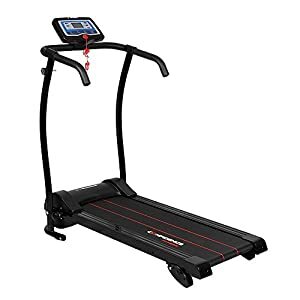 This is one durable, nicely balanced and very sturdy item for your home gym, and likely the backbone of the majority of your routines.